Still, it wouldn't be hard to identify matching ends by line type, color, or even a symbol. There are only a limited number of (sensible and readily identifiable) line types, however, but there is no limit on how many lines cross between panels. That being said, having more than a few crossing lines would make for a plot that is very confusing. Thanks for the suggestion! Perhaps in a future version. Thanks for the reply. Sorry I must have said "line types" or something like that I didn't mean the exact function. 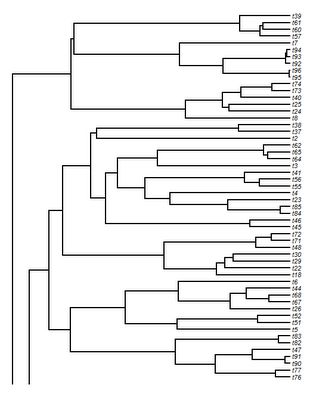 By the way, phytools is an amazing work, I am already having nice results with the xkcd trees and other stuff. 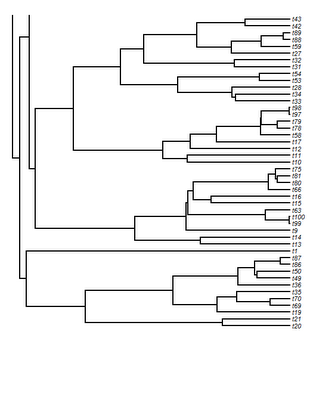 I’m working on a comparative phylogenetic project and want to show that my data has phylogenetic signal. 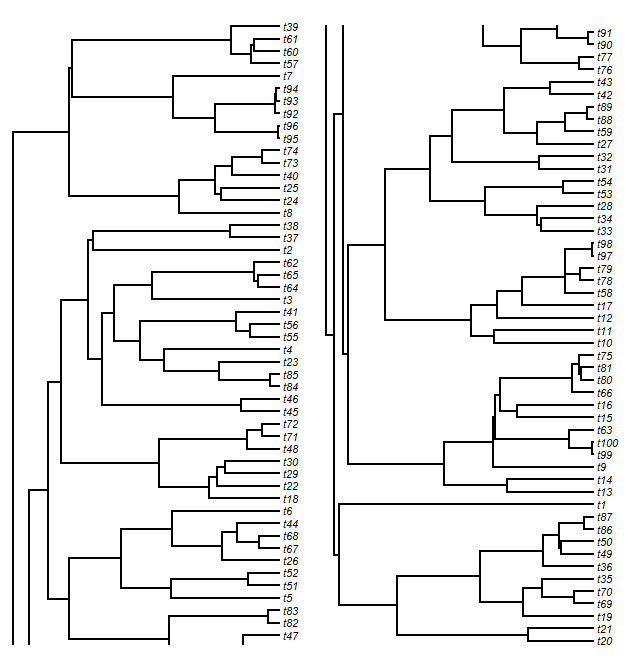 Using Pagel’s lambda I get lambda – 0.854. Is this value significant enough in that it’s safe to model the variable as Brownian motion? 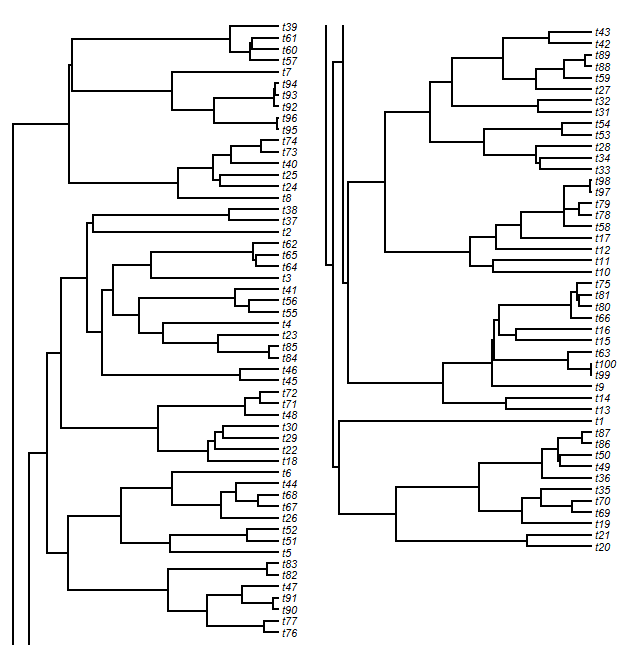 Another aspect of Pagel’s lambda method is tree transformation and I don’t actually understand when the transformation is happening (or should happen). 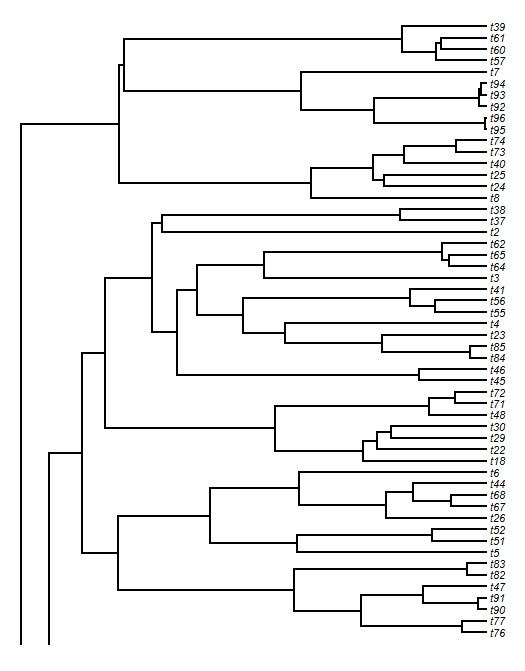 Should I transform my tree (using lambdaTree, for lambda = 1) to model my data? I’ve gone through all the possible tutorials and examples but still don’t understand if I should transform my tree before modeling my trait or if stating the lambda value is enough? I just posted a reply to at least your first question here. I like your solution, thanks again for the interest. 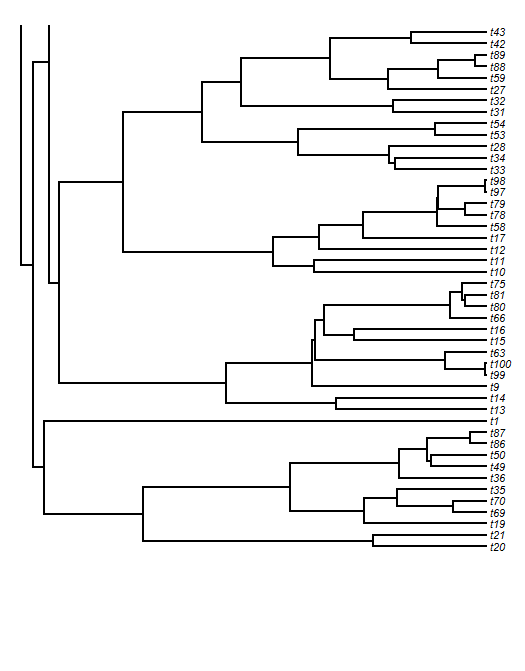 Is there a way to pass the product of describe.simmap (which seems like a list) along splitplotTree so one can have a better visualization? Thanks!